Some scents bring back memories. Others inspire new ones. The suit fits perfectly, the accessories match – there is only missing that certain something: the perfect fragrance. Which always should be chosen carefully, because it represents the personality of the wearer and leaves a lasting impression. Porsche Design has always known what matters most to the modern, demanding man. 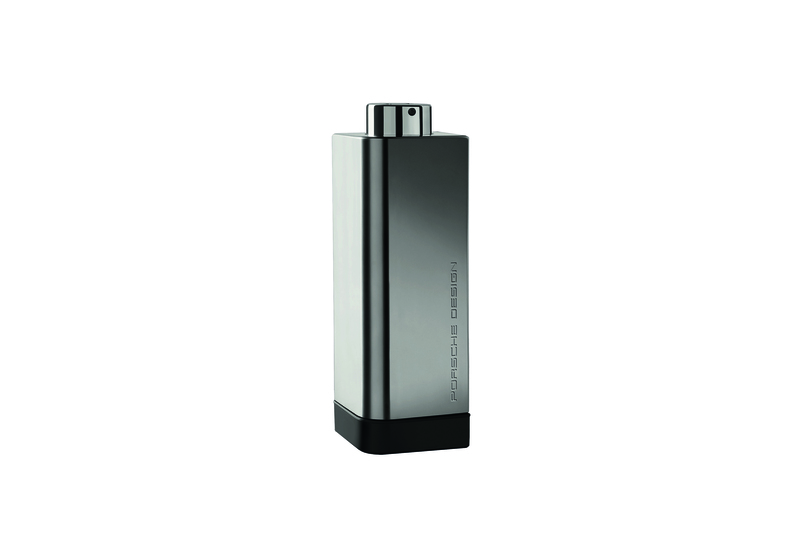 The history of Porsche Design Fragrances started in 2008 with The Essence. The cool and spicy essence in the turquoise block-of-ice-bottle quickly evolved into the new icon of fragrances. Soon followed by Porsche Design Sport, the fresh-masculine Titan and the aromatic-spicy Palladium in 2015. Now it’s time for the next big step. Time for a fragrance that does not only recall good old memories – it’s time for a fragrance which creates new ones: with Porsche Design 180, the exclusive lifestyle brand now presents an elegant yet masculine scenting experience, which is perfectly suited to today’s urban lifestyle. Quite extraordinary is also the iconic bottle of the new creation – its unique shape and haptic makes it a true eye-catcher in the bathroom. A new men’s fragrance, that is pure and dynamic. A bottle with an innovative twist, that thrills enthusiasts of intelligent and functional design with maximal performance and innovative materials. Porsche Design 180 is a contemporary interpretation of the classic, aromatic Fougère. The inspiration for perfumer Nicolas Beaulieu was the universe of Porsche Design and the way they impressively know how to link design and function, technology and innovation, heritage and modern lifestyle. He translated this concept now into an elegant masculine and expressive fragrance creation. In the opening invigorating citrus chords meet sweet spicy cardamom. In the powerful heart, aromatic and spicy notes of aromatic clary sage and black pepper get energized with an iced coffee cocktail. For the base, notes of cedar and vetiver were chosen. This noble classic woodiness gains more memorable power from a surprising vanilla note. The innovative vanilla bean scent was extracted by redefining molecular structures using a specific technology of modern fragrance manufacturing. And it adds a hint of finest leather to the sweet facets of vanilla for a more masculine touch. The cylindrical bottle convinces with its extraordinary design and functionality. Thanks to its straight angles and harmonic curves, it becomes a real design object and an attractive addition to every bathroom. This concept of haptic contrasts is underlined by the use of cool metal with a warm shimmer – the lightweight aluminum casing got a premium matt metallic finish. But what really makes the bottle of Porsche Design 180 unique is its surprising spin: once you move the matt black base slowly to the left by 180 degrees, the spray button raises upwards automatically. Once you turn it to the right by 180 degrees, the button goes back and the bottle is closed. Protected against UV-light and safe in the travel case. A smart solution with functional elegance, that combines innovative technology and contemporary fragrance at its best. Porsche Design 180 is available starting from October 2018 in the exclusive perfumery retail trade, in all Porsche Design Stores globally as well as online at www.porsche-design.com. E.A. Cosmetics Distributions GmbH is specialized in the development, marketing, production and global distribution of exclusive fragrances. The present brand portfolio offers a broad range of classics with special and real values as well as actual designers and lifestyle brands. It is owner of the Aigner Cosmetics trademark rights. Porsche Design Fragrances, Naomi Campbell Perfumes and Ariana Grande round out the brand world completely. The newest entry in this prestigious portfolio is singer Jennifer Lopez and fashion designer Manish Arora.